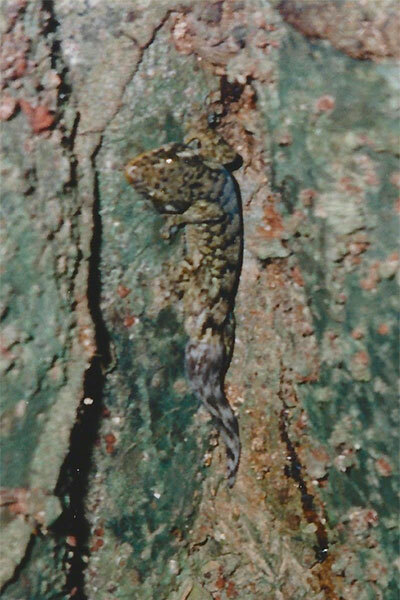 This individual was found in a tree by flashlight. We had another one rustling around in the dry palm leaves that composed our hut's roof. The people in the next hut had no large gecko in their palm leaves; instead they had at least three large scorpions. Father Alejandro Sánchez's West Indian natural history site.